Music makes everything better. It doesn’t matter what plays it, music is usually always great. Still, it’s nice to have something cool to look at. 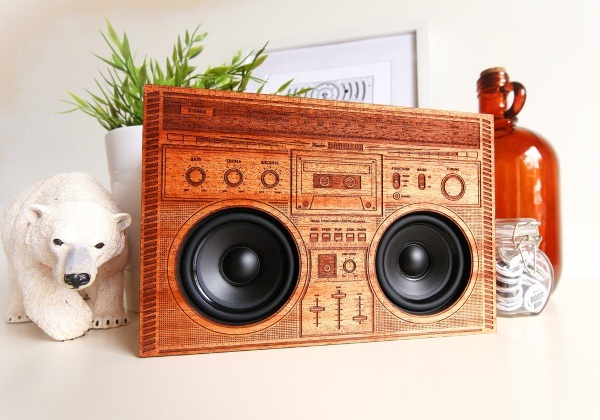 If you like your music look as amazing as it sounds, check out these Wooden Boomboxes. These Boomboxes aren’t like the music machines from the 80s. They’re more like art pieces that pump out powerful sounds. In essence, they’re more akin to speakers than an actual boomboxes. The musical input is coming through Bluetooth but it can’t be denied that these are very cool. It can also be used with 3.5mm audio input and has a battery life of 15+ hours. They come in ten unique designs. Each one is made from laser-engraved mahogany and look great sitting on shelves and tables. They’ll probably also look pretty cool on a street corner while you’re busting out mad B-Boy moves but they’re not really designed for that. No one is telling you how to live your life though so feel free to give it a try. I would suggest “The Original” if that’s your goal though. 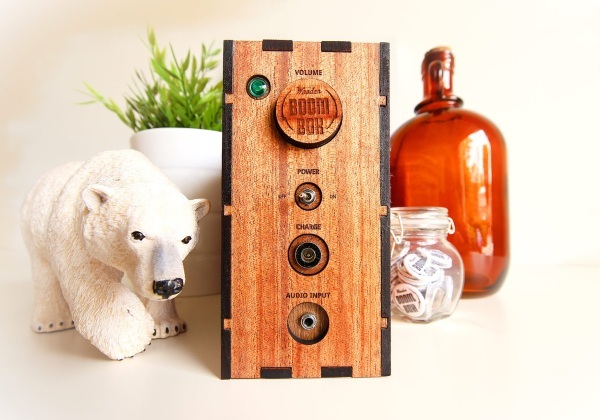 Wooden Boomboxes are $250.